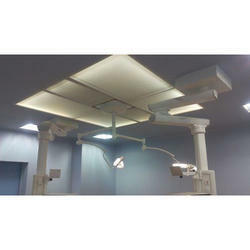 Manufacturer of a wide range of products which include modular operation theater. We are providing our valued clients with an exemplary PPGI(pre-painted galvanized iron)Modular Operation Theaters an economical price. Designed to excellence, these operations theaters are in compliance with the defined parameters of the industry. We have made these theaters installed with all the amenities that are required for executing surgical operations. Looking for Modular Operation Theater ?